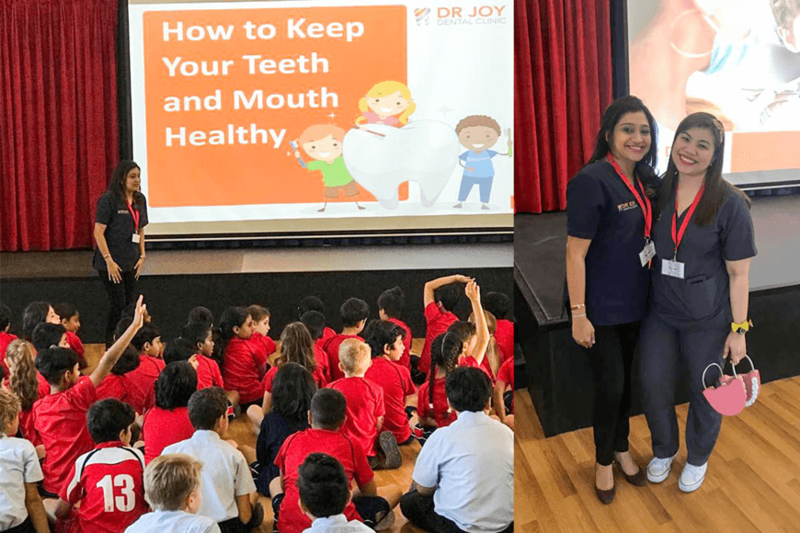 Dr. Anila Virani, one of our Specialist Pediatric Dentists in Dubai, was invited to do a dental presentation for the students at Kings’ School Nad Al Sheba. The students were gathered together in one group. Dr. Anila presented the kids with a 45 minute oral health talk and discussed the importance of good oral hygiene with them. She also talked about the importance of differentiating the good food from the bad food. Dr. Anila then showed the children the correct way to floss and brush their teeth. Every student got the opportunity to practice the proper brushing technique. She also used plaque disclosing tablets during the activity to help showcase each child’s current oral health status. See Also: Anxious About Dental Treatment? Choose Sedation Dentistry! The students were highly interactive throughout the session, they asked questions about their oral health and how to maintain good oral hygiene. To arrange a dental visit to your school, kindly email our Business Development Manager at bdm@drjoydentalclinic.com or call us on 04-3285332. Thanks, Susan! Hope your writing is going well! Next post: Anxious About Dental Treatment? Choose Sedation Dentistry!